Ex-Zamalek striker has a word for Enyimba. We inch closer and closer to the big one this weekend. We play Zamalek of Egypt this weekend in the first matchday of the CAF Champions League group stages. Of course you are aware that we play in Port Harcourt with our Aba Stadium ground looking like someone wants to erect a four storey building on it. We keep believing that someday having our pitch restored will be a reality. Anyway that’s not what this post is about. 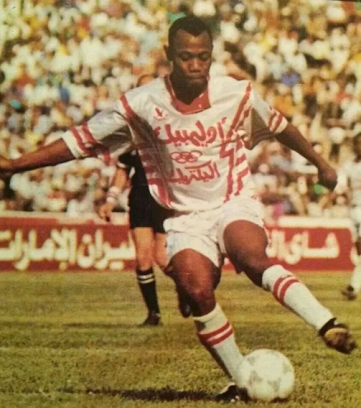 Last weekend, we caught up with a Nigerian Legend and coach of the National Under-20 side, Emmanuel Amuneke. It was interesting talking with him but more importantly, as one who played for Zamalek, he tries to give his thoughts on what Enyimba must do. “My message for them is, I’m glad they are opportune, they are privileged to be grouped with Zamalek and the rest but the reality is, I played in Zamalek and Enyimba is a team from my country and I want the best for them. Then you have the team from South Africa also they made it. But the reality is that, they just have to believe in themselves, they have to do what is right. The players have to be ready for the Championship. It’s not just merely, we are in the Group Stage. You have to compete. When we prepare our players to be able to compete. When we talk about competing, it’s not a guarantee you win but at least it’s something that brings you closer to build your confidence. You compete, you lose, you win, then it enables you to know where and where you have to work on. The truth of the matter is that it’s not going to be easy for Enyimba and having the privilege to play the first game against Zamalek. 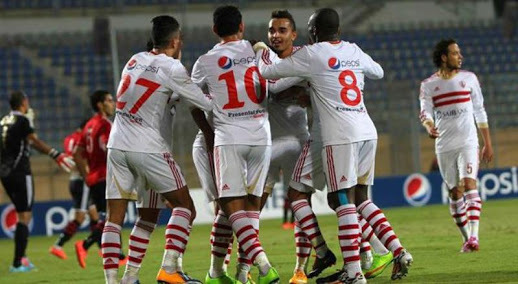 Zamalek is a well organized, structured, standard team but of course they are beatable. Enyimba have to believe in themselves, they have to work hard and they have to try as much as they can to minimize their errors. When you play a big team and when you present a weakness, they will punish you”. Pretty much straight to the point. It may not flow like your regular conversation because this was transcribed word for word but the message he’s trying to communicate is pretty clear. That should see us through this Sunday’s encounter and the rest of the Group stage. I also think that should see anyone through in any venture in life. The principles for success are pretty much the same. That should be that for breakfast today. I’ll be back tomorrow. Previous postPostponed fixtures, fines and other things. Next postCAFCL: What the fuss about a bus.